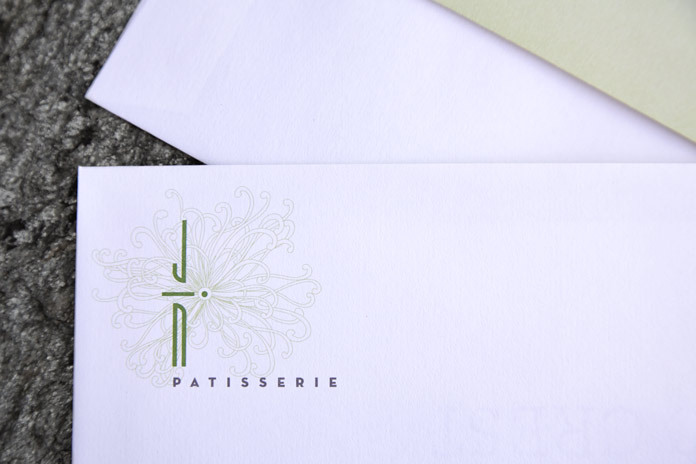 Developing an identity to express the uniqueness and creativity of Jin Patisserie’s custom chocolates. 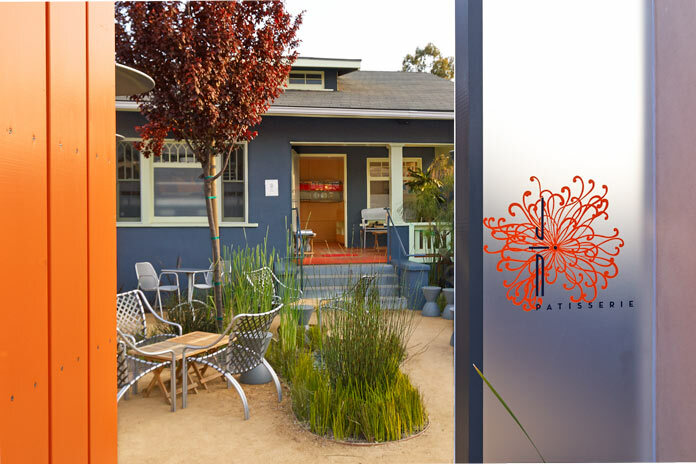 A custom chocolate & patisserie shop, originally based in the trendy Abbott Kinney neighborhood of Venice, California. 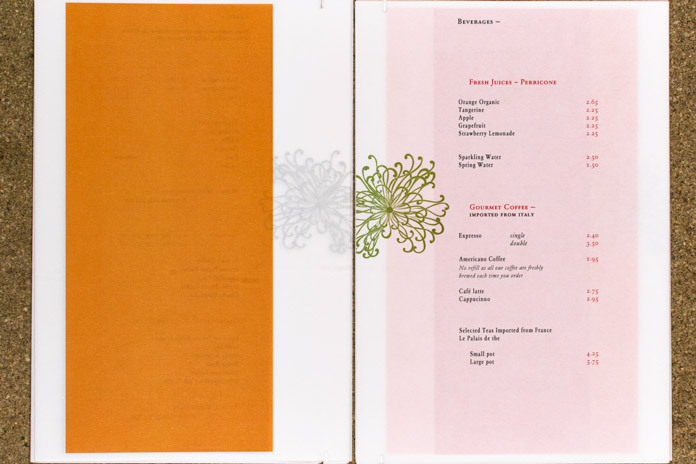 Rocketroom developed the branding; including the logo, naming, business cards, stationery kit, environmental design and menu; to express the uniqueness & creativity of the glorious treats. 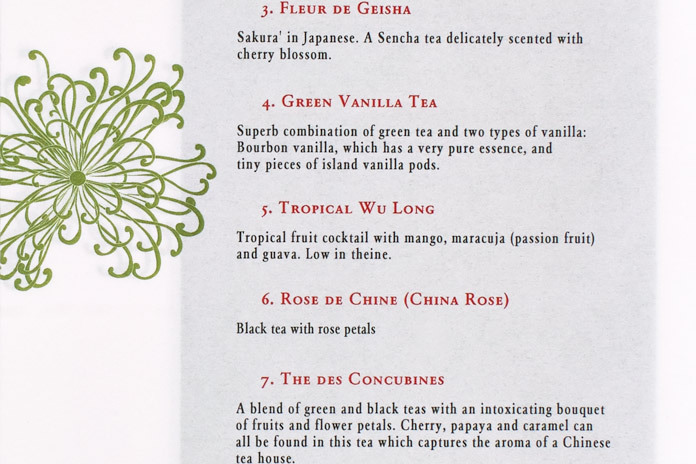 The naming of ‘Jin’ came from a desire to express the beauty and creativity of the proprietor Kristy Choo’s confections, yet also make it personal to Kristy. ‘Jin’ has many meanings, among them: treasure and jewel, as well as magic. A perfect word to reflect the exceptional quality of her luscious, beautiful treats. The personal touch being that Jin also happens to be Kristy’s middle name! 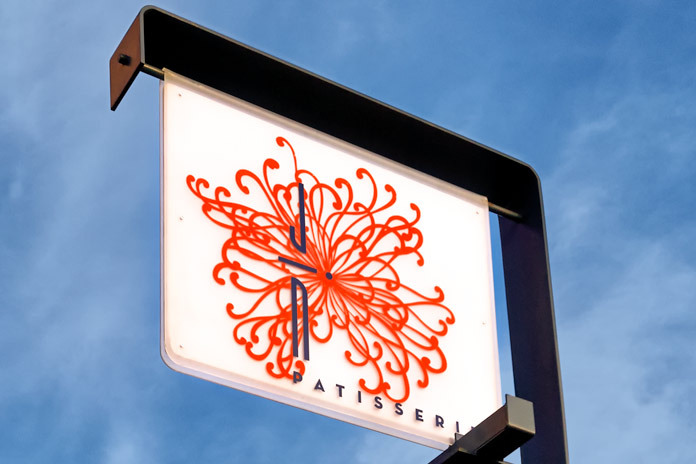 For the Jin Patisserie logo, we designed a chrysanthemum to resonate with the intricacy of Kristy’s work, the origin of her life and aesthetic. 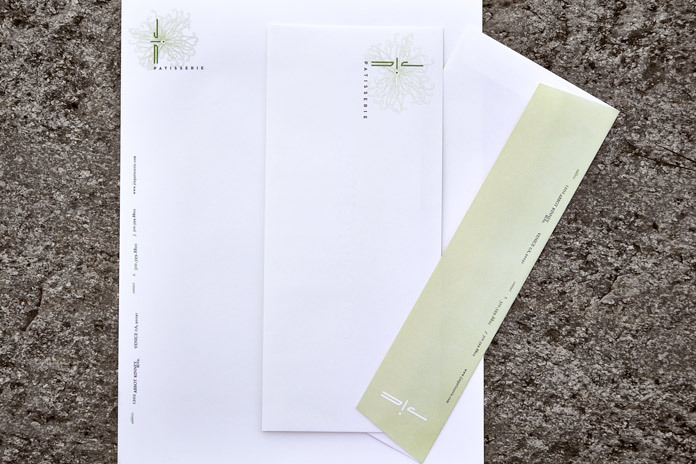 We strove to make the business cards & stationery kit appear almost as delectable as the chocolates. We ensured that the logo design & signage were flawlessly integrated with the zen-like environment created by architect Glen Irani. 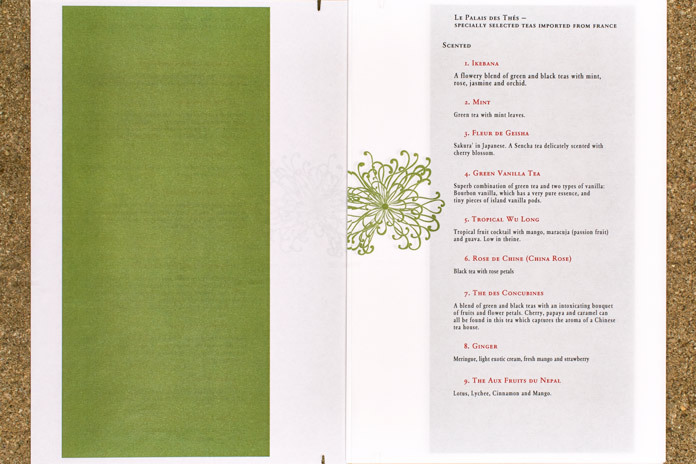 The original menus were hand-bound and printed on translucent vellum to give a delicate, ethereal feel. 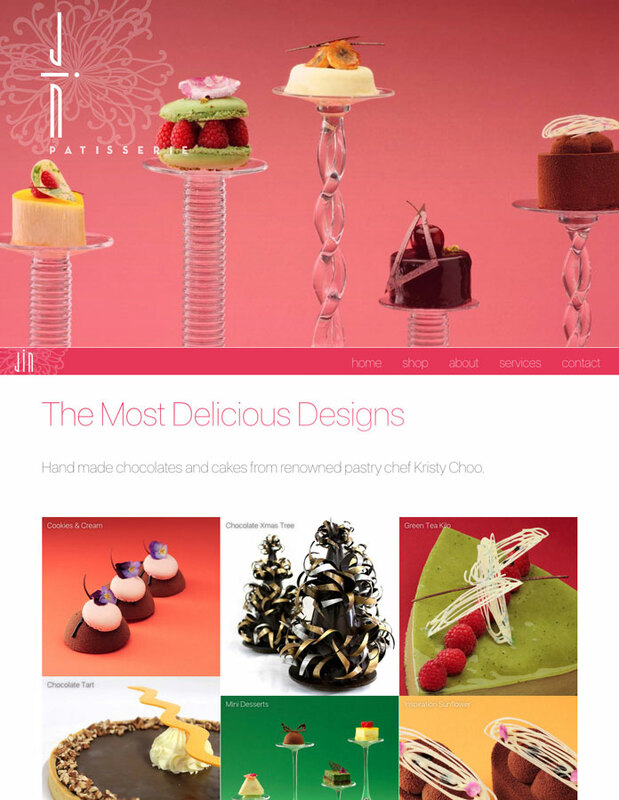 The website highlights the passion, color and exquisite creativity of Kristy Choo. 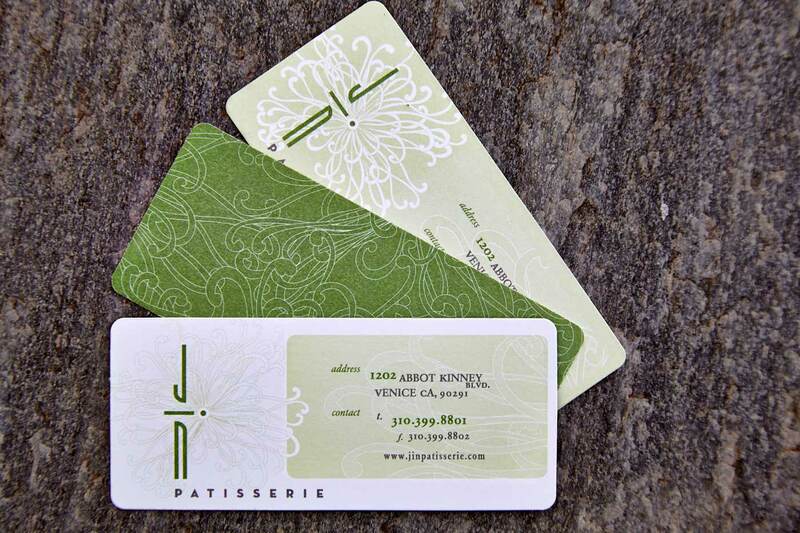 Jin Patisserie quickly became an extremely popular destination on Abbott Kinney Boulevard, until outgrowing their chocolate making production space in 2013. 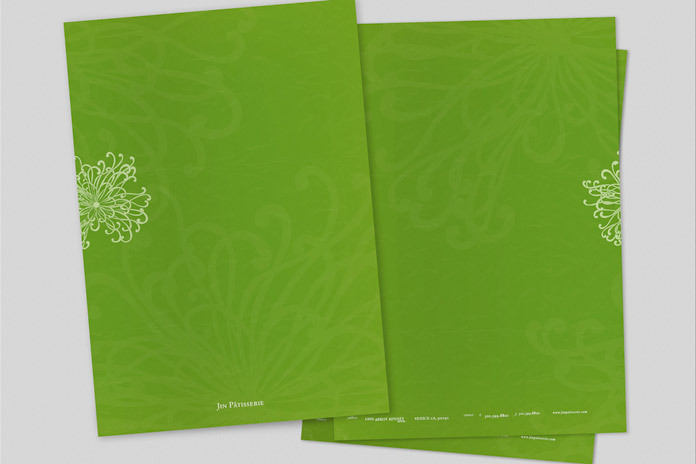 They have since expanded to a 6,000 square foot production facility in Culver City, California to focus on wholesale orders.